Driving under the influence of drugs or alcohol is not only a serious offense that can land you in jail, but it also kills people. The trend in the late 70’s and 80’s focused on drinking and driving. MADD, or Mothers Against Drunk Drivers brought a lot of attention to the problem and even resulted in tougher laws. But did you know that driving under the influence is not only about alcohol? Of course, illicit drugs fall under the laws, but prescription medications can also get you into trouble if you’re involved in an accident. Having a prescription is not a defense to a DUI charge. Medications come with the warnings that a drug may cause drowsiness, and, depending up the drug, the advice to “not operate machinery” while taking. Here’s an example that’s fairly common: you don’t eat breakfast because you’re running late for work. You take your medication, and head out driving your car. On the way to work, you’re involved in an automobile accident, which it is determined is your fault. You can then be found guilty of driving under the influence, even though you have a prescription for the medication you were taking at the time. There are basically three tests you may be asked to complete if you’re pulled over for DUI. These include the “walk the line” test, the officer will look for “wiggle” in your eyes, and you’ll be asked to stand on one foot. If you fail any of these – even if you haven’t been drinking alcohol but taking prescription meds – you may be arrested for DUI. If you are going to be taking prescription medications and driving, you should always keep the prescription bottles with you. Let the officer know that you have them with you, because if he searches your car, he is going to find them. 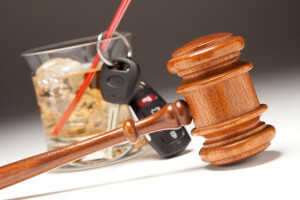 This may help you should you are charged with DUI and it could affect the outcome of your case. If you have legal questions, please consult our Online Legal Directory to find a lawyer in your area.